Moles are notorious for the damage they cause to reidential lawns, sod nurseries, golf courses, parks, and gardens. They can create many tunnels and because of their displacement of dirt, unsitely mounds of dirt. Moles can be controlled by several methods - Trapping, Chemical control, and Fumigants. 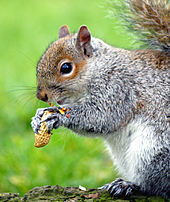 Squirrels can cause damage or become a nuisance to the homeowner when they use buildings for nesting sites and food storage or when they gnaw into attics to take up residence. They can also move into spaces between walls and floors. 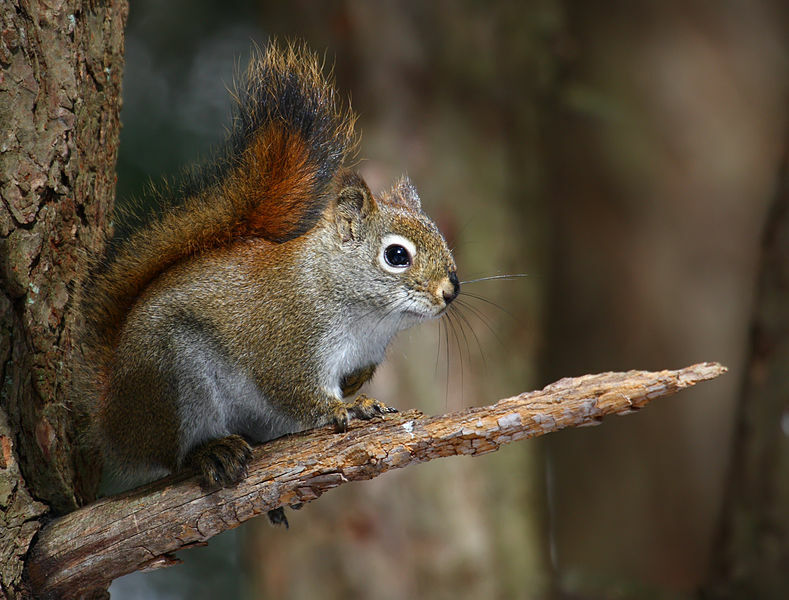 Squirrels often gain access through vents, broken windows, knotholes, construction gaps under eaves and gables, and occasionally, the chimney and fireplace provide an entry route. Control methods include Live Trapping, Exclusion, Pruning Trees back away from your home or building, And refraining from feeding. Raccoons often gain access into attics, basements, and crawl spaces by forcing open loose or broken vent covers, louvers,windows, and carpentry. Female raccoons readily invade attics or enter uncapped chimney flues and occupy the smoke shelf above the damper door to give birth and wean their litter of pups. Raccoons can easily be frightened away from a trash can or garden by us humans, BUT should be given the up-most respest and caution, because they can be fierce fighters when cornered and have been known to inflict serious wounds. 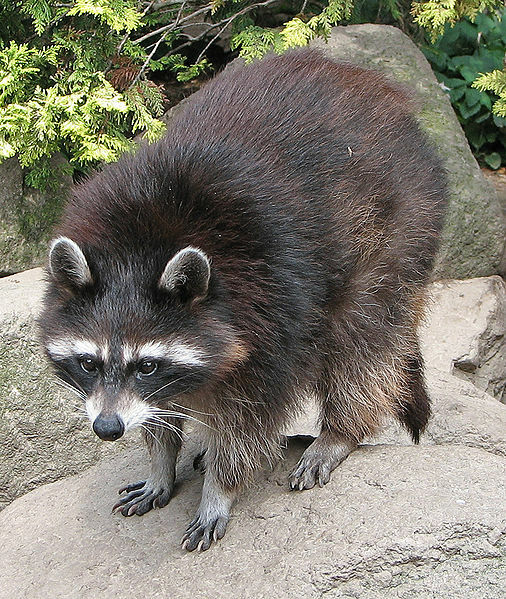 Raccoons have been implicated in several infectious diseases transmissible to humans, the most well known one being Rabies. Therefore great care should be taken when attempting to control these pests. Some control methods include .... Habitate Modification and Sanitation, Live Trapping and removal Peformed by a Licensed Trapper, and Exclusion. Woodchucks ( a.k.a. Groundhogs ) are the largest members of the squirrel family in the United States. These animals commonly invade cropland and vegetable gardens, eating or destroying vegetables and landscape plants. 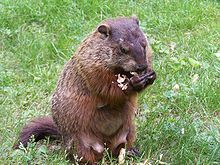 Woodchucks are generally found in open and closed forests and brushy areas. In agricultural districts, they live along creeks, pastures, brush ravines, and wooded lot edges. They will also excavate large unsightly burrows in fields, golf courses, cemeteries, lawns, and landscaping beds leaving mounds of soil at the dig site. Woodchucks become more of a nuisance when they excavate burrows along and beneath your home and building foundations. Control and Elimination Methods can include....... Habitat Modification and Harassment, Live Trapping by a Licensed Trapper, and Exclusion. 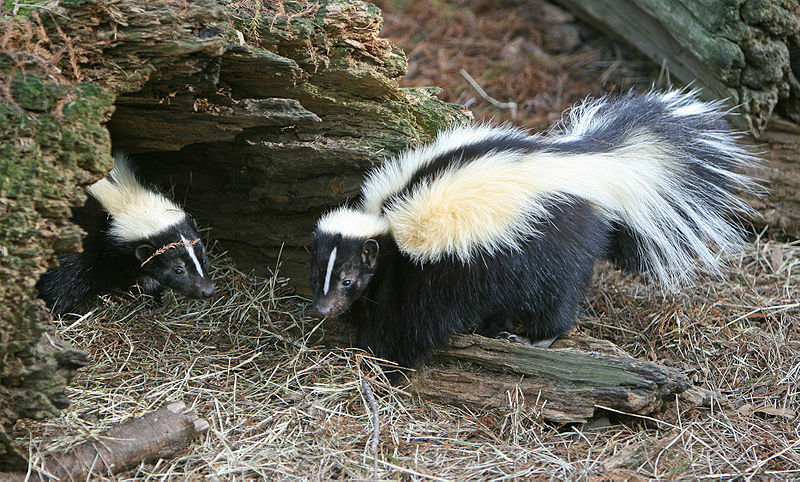 Skunks are primarily nocturnal animals, and their activity around buildings may go undetected for awhile until one takes up occupancy beneath a porch, deck, slab foundation, or outbuilding floor. They will also leave their offensive scent as an indicator of their presence when confronted by another animal, such as a dog. Skunks have been found infected with an array of diseases that may or may not affect humans, By far the most important one being Rabies. Control Methods can include........ Habitat Modification and Sanitation, Live Trapping by a Licensed Trapper, and Exclusion. 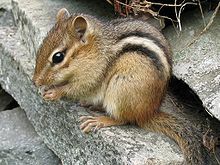 Chipmunks often dig up and eat newly planted garden seeds and flower bulbs. Strawberries, Plums, Apples, and other cultivated fruits are gnawed for their flesh or their seeds. They will dig unsightly burrows in lawns and flower beds to nest. Sometimes Chipmunks will nest beneath residences thereby gaining access into living spaces, basements, and crawlspaces. They enter through utility penetrations and other structural gaps. Occasionally , they will take up residence in attics or other areas that are above ground. Contol methods can include...... Live Trapping or Lethal Trapping by a Licensed Professional , And Exclusion.